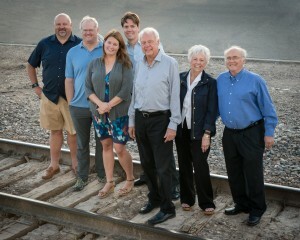 Doug, son of Ken and Helen Erion, has been an Erion Foundation board member since 1986 and is currently its president. Doug is President and Chief Executive Officer of the ACTIAN family of companies. He has served as a board member of the Loveland Chamber of Commerce, Loveland City Council, Loveland Planning Commission, Loveland United Way, Loveland Parks and Recreation Commission, Loveland Visual Arts Commission, Loveland Economic Development Council, Loveland Development Fund, Loveland High Plains Arts Council, McKee Medical Center, McKee Medical Center Foundation, and The Community Kitchen. Roger, an Erion Foundation board member since 1997, is currently its vice president. He is a partner in the firm of Clark, Williams and Matsunaka, LLC. 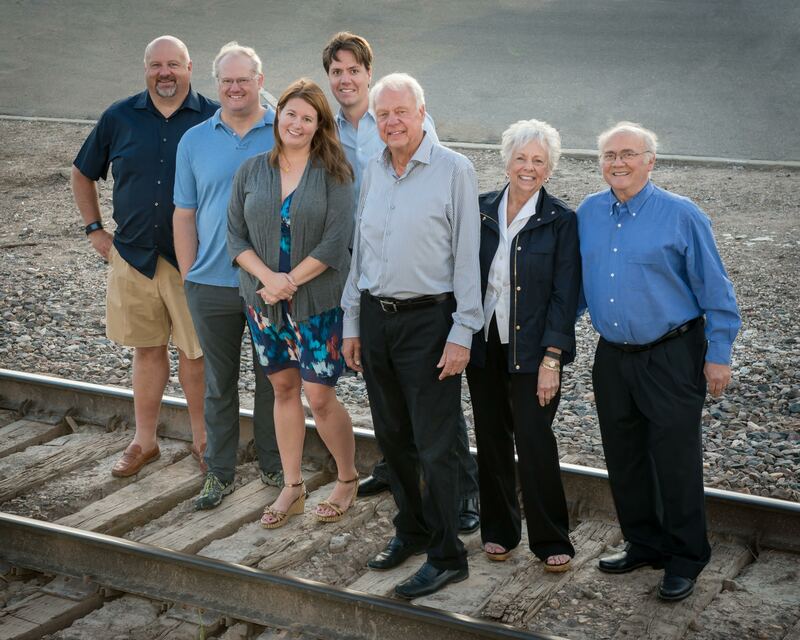 Roger is past president of the Colorado Bar Association and presently serves on the Loveland Fund Committee of the Northern Colorado Community Foundation, and the Loveland Visual Arts Commission. He is past president of the Larimer County Bar Association, the Colorado Lawyer Trust Account Foundation, the Loveland Chamber of Commerce, Hospice of Larimer County (now Pathways Hospice), and Loveland Sertoma, and he has served on other boards. In addition, Roger chaired the Home Rule Commission for the City of Loveland. Eli, husband of Ken and Helen Erion’s granddaughter Summer, has been an Erion Foundation board member since 2007 and is currently its treasurer. He is an Engineering manager and senior mechanical engineer at In-Situ, inc. He presently serves on the board for Loveland CreatorSpace. Justin, grandson of Ken and Helen Erion, has been an Erion Foundation board member since 2011. He was born and raised in Loveland and has served on several local nonprofit boards including the Boys and Girls Club and Colorado Youth Outdoors. Justin is a member of the community marketing commission for the city of Loveland and owns and operates Armada Holdings. Jan, daughter of Ken and Helen Erion, has been an Erion Foundation board member since 1986. She lives in Huntsville, Alabama, where her husband, Dave, is a PGA golf professional. A Loveland community leader, Jan maintains two businesses in Loveland. Jan has served on the boards of the Loveland Chamber of Commerce, Meals on Wheels, McKee Medical Center, Loveland Visual Arts Commission, United Way Venture Grants, Loveland Recreation Foundation, Foothills Service League, and the Thompson Valley Rotary Club. She is past chair of the Colorado Governor’s Art Show. Summer, granddaughter of Ken and Helen Erion, has been administrator for the Erion Foundation since 2013 and a board member since 2017. She was born and raised in Loveland, CO. She is also on the board of Inspire! Children’s Museum, a prospective children’s museum for Northern Colorado. Stefanie, wife of Ken and Helen’s grandson Justin, has been a board member since 2017. She is a Colorado native and was raised in Loveland. She is a local real estate agent at C3 Real Estate. She is also the vice chairman for Backstage Rialto.